You may have heard the story of Benton Mackenzie, a middle-aged Iowan who died several months after the state took him into custody for growing his own cannabis. What’s compelling about Benton’s case is how he managed to keep his aggressive angiosarcoma cancer at stage 1 for two years before his arrest. And why it took only six weeks for it to morph into stage 4. We can’t say for certain that it was the cannabis that kept his tumors from spreading. But the fact that it only took six weeks for his cancer to progress to stage 4 after the cannabis was taken away from him is leading a lot of patients to wonder if Benton was on to something. And Benton’s story isn’t the only like it. Cure Your Own Cancer is a for-profit site that has compiled dozens of video testimonials from patients claiming to have cured their cancer with cannabis oil. You can watch them yourself here. Valentine X has 25 parts CBD to 1 part THC, which means it won’t get you high. It’s known for its powers over epilepsy (St. Valentine is the patron Saint of epilepsy) but is also recommended by Synergy for cancer. It’s side benefits include the reduction of inflammation, pain, nervous disorders, and an increase in creativity. ACDC has 21 parts CBD to 1 part THC, and is a 50/50 sativa and indica blend. It’s a rarity to have such a high CBD content, which makes this strain ‘The Ultimate CBD Medicine,’ according to Synergy. It is known to shrink tumors, and reduce inflammation. It’s also good for anxiety, tremors, and epilepsy. Sour Tsunami is another CBD rich strain known to shrink tumors and inhibit the growth of cancer cells. It’s also good for inflammation, back pain, swelling, and headaches. It’s a sativa hybrid with very little psychoactive properties. What’s interesting about Omrita RX is that it produces a lot of leaves that can be used for juicing. It is good for pain, inflammation, nausea and anxiety. In addition to being anti-cancer, this strain is good for treating nausea, appetite stimulation, pain relief, cancer, anxiety, and convulsions. Canna Sue also helps with sleep and relaxation. Harle Sue is known to raise energy levels, fight the inflammatory properties associated with tumors and cancer by inhibiting the growth of cancer cells. Please comment below if you have tried any of the strains above, or if you have your own preferences. A recent report by the Huffington Post says that CBD oil works best for aggressive cancers that are prone to spreading from one place in the body to another. Scientists Sean McAllister and Pierre Desprez explain that it’s because Cannabidol turns off the ID-1 gene, a gene that causes the cancer to spread. That means that high CBD oil is more likely to work on quickly-spreading cancers than on slow ones. If you have cancer and live in a state where medical marijuana is legal you can skip this step and purchase the oil from your local dispensary. Governing.com keeps an easy-to-read map of states where marijuana is legal here. If your state is in dark green, and has had time to license dispensaries in your area, you will be able to purchase marijuana legally with a recommendation from your doctor. The United Patients Group offers a step-by-step guide to getting your recommendation here. You can find dispensaries near you by typing ‘dispensary’ into Google Maps. I like to use Google Maps for my phone, which you can download here for iPhone or here for Android. Click on a dispensary in your area and give them a call. Do they sell high CBD oil concentrate for treating cancer? Do they have it in any of the strains listed above. If not, can they recommend a good high CBD strain based on other patients experience? What you’ll need to bring with you to your visit. If you have opted to grow your own marijuana, or only have access to the cannabis plant, here’s a step-by-step guide on how to make your own extraction at home. It’s a broken-down version of the tutorial Benton watched on Rick Simpson’s Youtube page here. Benton told the Quad City Times that he needed about a quarter of a pound of marijuana per day to extract 4 ounces of CBD oil per week, the amount he used to treat himself. For smaller doses, Rick Simpson says that one ounce of plant material should produce between 2 and 4 grams of oil. You can learn more about Rick Simpson’s suggested dosing here. Benton took a bit more than a gram a day, but everyone’s tolerance is different. It’s best to start small and see what works for you. Even the high CBD strains can cause change of state for some people. You can split the dose between mouth and skin. But only rub the oil on your skin if your cancer is visible, like Benton’s. If so, try mixing it with coconut or olive oil to make it easier to spread. Cover the area with a bandage and change it every 3 or 4 days. You can also take your dose in a capsule or put it directly into your mouth. Watch out, you may or may not like the taste. Benton also consumed cannabis in the form of smoothies and tinctures. This was in addition to, not as a substitute for, the CBD oil. If you think that’s not fair, you can take a moment to let your local representative know how you feel. Visit the Marijuana Policy Project here and use the pull-down menu to the right to choose your state. Once your state page loads, keep an eye out for links asking you to take action. Those are great because they take you to a page with a customizable message that you can send off to your representative in just a few seconds. If you are a seriously ill patient, the Marijuana Policy Project invites you to email them with your story and zip code to learn how you can be of special help. They can be reached at state@mpp.org. 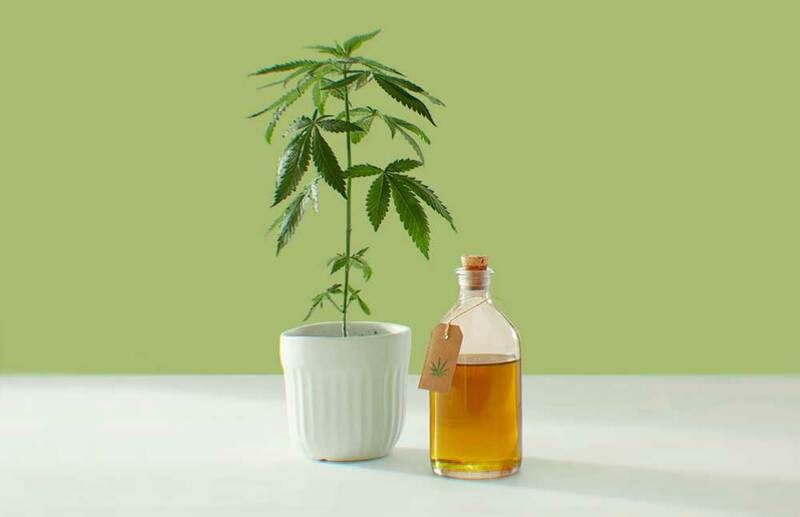 Have you tried high CBD cannabis oil? Comment below. © 2017-19 HealthMJ | We don’t provide medical or legal advice. Nothing we say or write should be interpreted as medical or legal advice. If you need medical or legal advice, we encourage you to consult a licensed professional. We are trying to create something good. Please don’t sue us. But please do write us if you think we could be doing something better.